Hold onto your hats hop lovers, Hop Quest is returning for 2019. 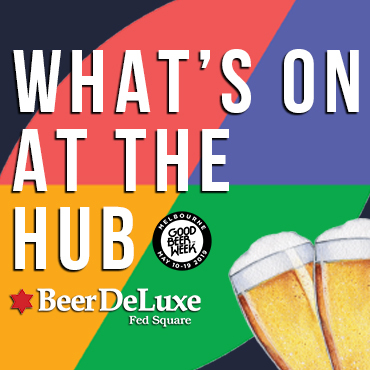 For those who have never been to one before, this celebration of hops sees Beer Deluxe Fed Square invite breweries to create brand new, hop-forward beers to be launched at the event. 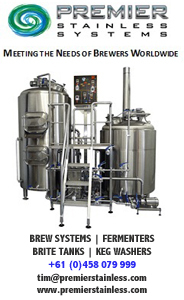 For 2019, 20 breweries will take part and each beer will be brewed under strict secrecy so details won't be revealed until the day. Attendees will have the chance to vote on their favourite beer too and the brewery with the most votes will earn themselves the title of Hop Quest King or Queen. Reps and brewers from each brewery will be on hand on the day to talk about their beer (and do some arm twisting) while tasters of each beer will be available for $5 all day. We've got a $200 bar tab up for grabs for one winner to share with their mates at Hop Quest 2019. Simply head to our Facebook page, locate the Hop Quest post from January 9 and tag the mates you want to take along for a day of hop-filled sampling. We'll pick a winner at random on January 12. Good luck!